mathgrrl shared this project on Thingiverse! 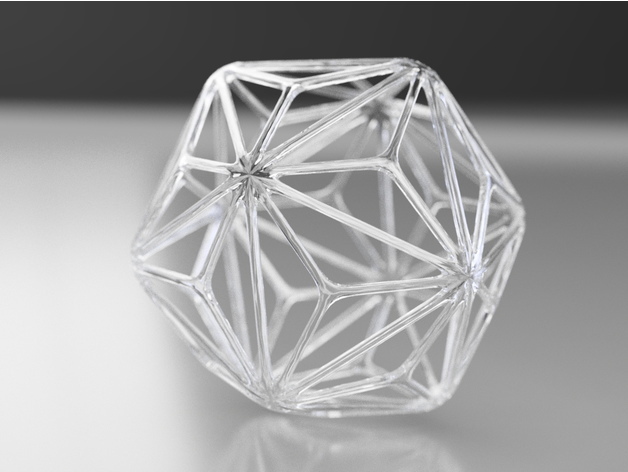 This Triakis Icosahedron model is optimized for printing on an SLA/resin machine like the Form2. It’s delicate and pushes the limit of what you can 3D print on a resin printer; in particular, you’ll have to have steady and gentle hands to remove the support material without breaking the model. If you want a sturdier model, scale it up to a larger size before printing.